Home / Computers/technology / Gadgets / Video: The All Controller Works With Every Console! A company called Digital Depth Inc.
is developing the ALL Controller; a universal controller that works with all current – and a couple past – game consoles, Windows and Mac computers as well as smartphones. The ALL Controller looks similar to the Xbox controller but with a few extras. The back of the hand grips have two paddle buttons that can be mapped to whatever input you want, and the face sports an LED screen. That LED screen and the controller's software let you load up different drivers on the controller to work with specific systems and even allows for custom button mapping. To switch between drivers only takes less than a minute, remapping the buttons are incredibly easy, and connecting to systems via a USB and Bluetooth is fast! Video-gamers grow attached to their chosen system's controllers. Picking up a differently-styled controller for another console feels foreign and can take some time to get used to, even if you've used them before. The ALL Controller takes care of this problem, you no longer have to readjust and reprocess your memory of where that 'A button' is for a Nintendo system (it's on the right) versus where to find it on an Xbox console (on the bottom). 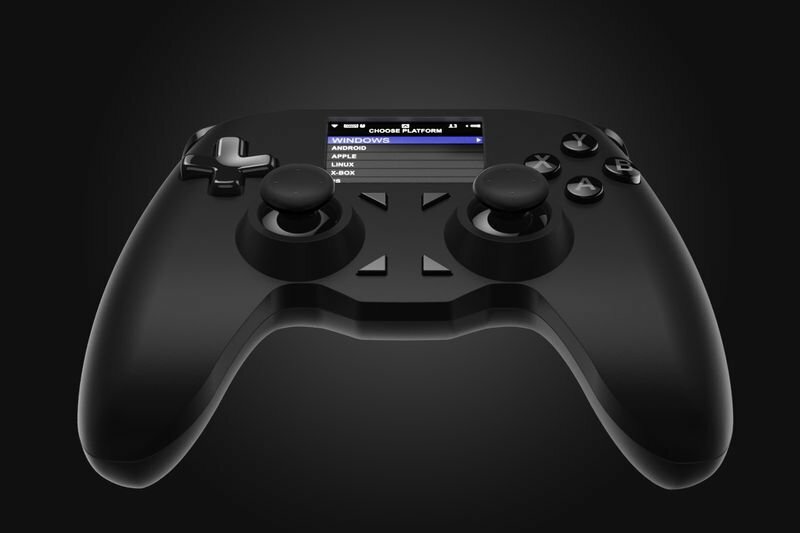 In the video below you get to see the ALL Controller in action. You don't have to tweak your movements in getting used to the feel and sensitivity of different triggers when you never need to change controllers.